It doesn’t take much to compromise the safety of your child – a misplaced finger, or a momentary lapse of judgement can cause major harm. Door-related injuries can happen in a matter of seconds, and safety is often neglected until an accident occurs. Preventive measures should be taken before a child is harmed. 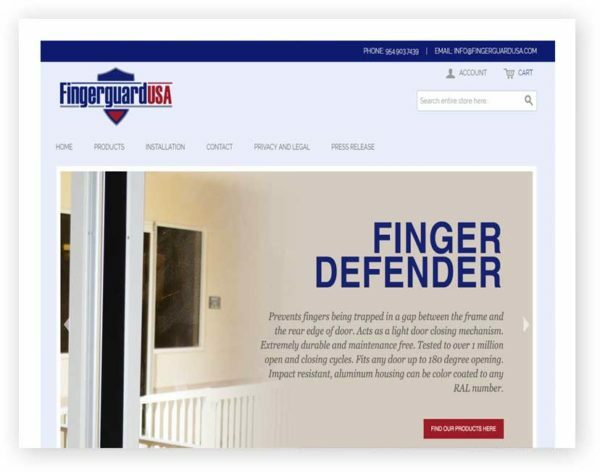 FingerguardUSA is here to help you childproof your home or facility with a finger-safe door hinge guards and corner guard. FingerguardUSA offers a wide variety of door safety guards for almost any application such as daycare centers, hospitals, restaurants, schools, churches, and homes. We also offer padded corner guards to protect children from running into sharp corners.